In the past year of 2018, China completed a total capacity of 215 MW concentrated solar power (CSP) projects, almost 7 times of the 30 MW capacity made before 2018. China has become the No.5 country owning the biggest CSP capacity, and the most popular emerging CSP market with Morocco by contributing 23% of the new capacity in the world. 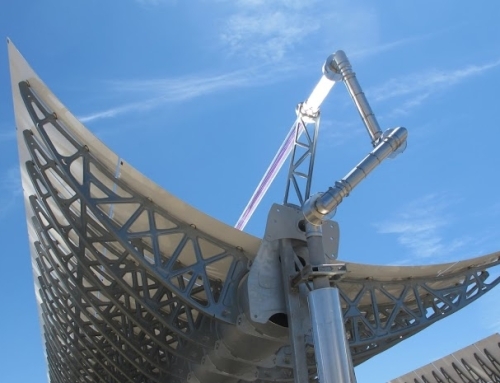 Looking at the global CSP market, nearly 1GW CSP plants have been newly built up, of which Morocco contributed 350MW (200 MW NOOR 2 and 150 MW NOOR 3), China 215 MW (Three 1st batch of demonstration CSP projects and one 15 MW Fresnel CSP plant), South Africa 200 MW (100 MW Ilanga CSP1 and 100 MW Kathu Solar One ), Israel 121 MW Ashalim tower CSP project, Saudi Arabia Waad Al-Shamal ISCC 50MW CSP plant. Coming to the year of 2019 for China, 6 projects with total capacity of 350 MW are under construction and hopefully to be completed by the end of this year. And other CSP commercial plants like Luneng 50 MW tower project are also under smooth development. 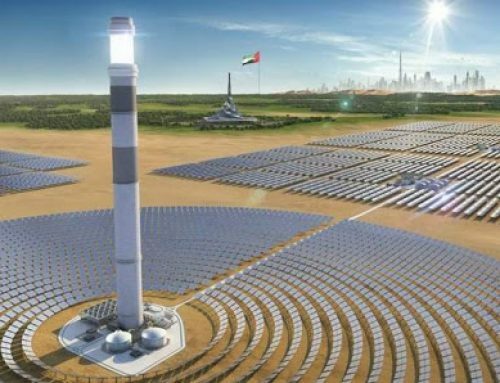 Some industry sources predict that around 600 MW CSP plants will be completed in the year of 2019. 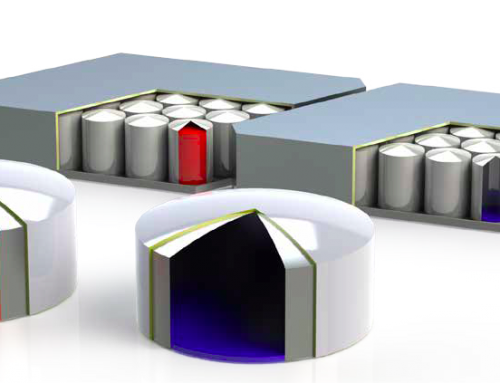 With no doubt, China is expected to lead the new CSP market. As the statistics in the Suppliers List shows, both Chinese local a nd foreign companies are able to get the deals. 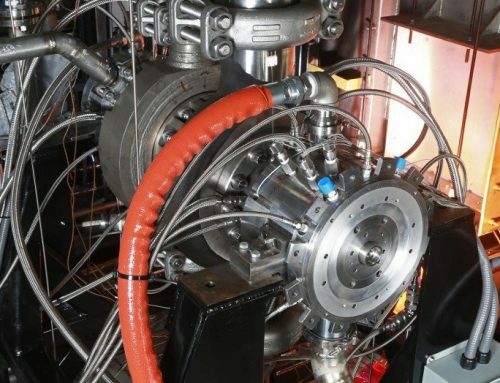 Some of the key products like reflector, receiver tube, tower central receiver, molten salt pump&valve are illustrated specifically in the article. Click to read the full story with pictures and charts . 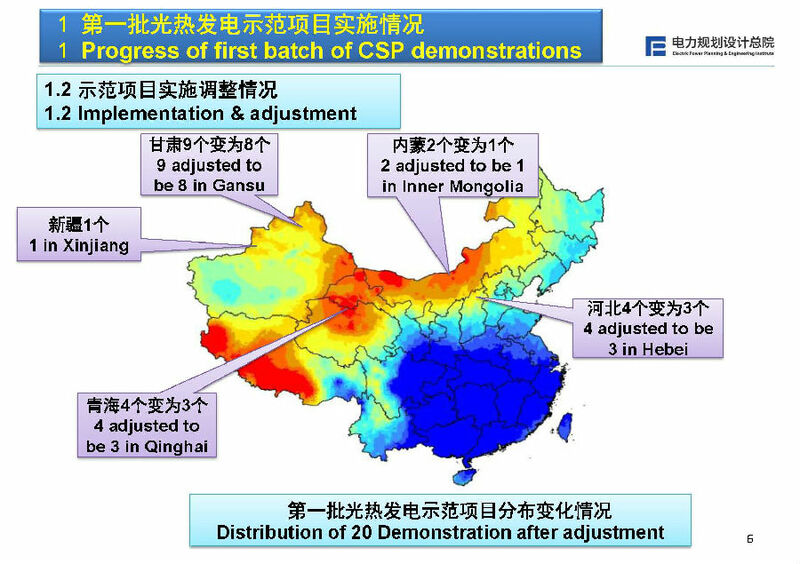 More illustrating news to mention about China CSP, around 15 GW CSP plants are under planning for China after-1st-batch of demonstrations, of which 2GW projects have been developed faster by finishing the feasibility review. 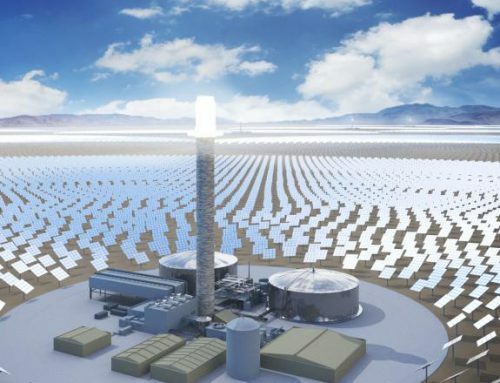 Take the operational 100MW shouhang Dunhuang molten salt tower CSP plant for example, the investment goes to CNY 3 billion, around USD 440 million, China is generating a tremendous CSP market potential with billions of investment. If you would like to get known of the most fresh information and look for customers and partners in China, you are much welcome to join the upcoming 9th Annual CSP Focus China Conference & Exhibition on Mar.21-22 in Beijing, China, where the key market players like CGN Solar, Shouhang, SUPCON Solar, ACWA Power, Abengoa, EDF, TSK Flagsol, Acciona Industrial, EA, BrightSource, Glasspoint, Shanghai Electric, ADB will be present.